After reading some of my articles people might begin to wonder if I have a big problem with nondual teachings. They might wonder if I say critical things about nondual teachings simply for the sake of being negative. They might also wonder if there is anything about nondual teachings that I like. I wrote what I wrote not for the sake of being negative, but for the sake of providing information that I hope will be useful. There are some nondual principles I like and agree with, but definitely not all of them. I gained freedom from such a restricted way of believing in an incremental way. First I found out that the guru I was studying with wasn’t the spiritual master he claimed to be. After discovering this I left his group. But I had not yet reached the point where I could thoroughly question all nondual teachings because I still believed that other nondual teachers such as Ramana Maharshi and Nisargadatta Maharaj were enlightened and therefore infallible. Eventually I reached the point where I didn’t want my beliefs to be dictated by anybody, not even people like Ramana and Nisargadatta. As far as I was concerned having a state of mind where I wouldn’t allow myself to question principles that were taught by eminent gurus such as Ramana and Nisargadatta, wasn’t any different than having a state of mind where a person won’t question anything the Bible says because supposedly the Bible is inerrant. Whether one assumes a source of information is infallible or inerrant, it amounts to the same thing. When I allowed myself to actually question some of the things gurus such as Ramana and Nisargadatta said, I found that some of the things they said didn’t sound correct. Not only that, there were important spiritual topics they didn’t speak about that one would expect a spiritual master to speak about. On one occasion I meditated and asked myself “Who am I?” At first I did so with the nondual expectation of experiencing myself as pure awareness that didn’t have anything to do with the mind aspect of being. But then I decided to not limit myself by the guidelines set by nondual gurus. This enabled me to understand that it doesn’t make sense to try to experience oneself as nothing but pure awareness because awareness couldn’t be aware without having something to be aware of. 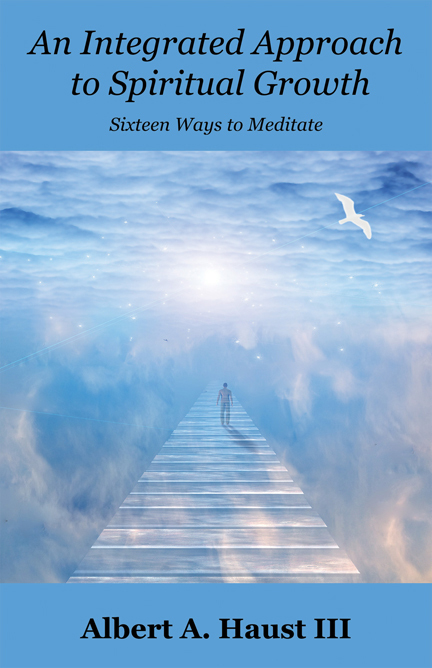 While meditating in such a way a person might experience something such as a vast expanse of deep peace, but this deep peace isn’t awareness itself or the nothingness some nondualists like to speak of. Anything that feels as great as deep peace definitely exists and is more than nothingness. I also realized that even if I could bring my mind to a halt this didn’t mean that my mind didn’t exist. Rather, it would be a matter of my using my mind in such a way that I wasn’t aware of it. I realized in a deep way that both the mind and awareness aspects of my being are a part of who I am, and that there is no way they could be separated from each other, even if I could get my mind to me more quiet than usual. This was a wonderful thing to discover because our mind can be a marvelous tool if we allow it to be. We can use it to do things such as learn about useful things and make decisions. If it wasn’t for the fact that I was daring enough to question what even eminent gurus such as Ramana and Nisargadatta had to say, I would not have reached the point where I could move beyond their guidelines and discover that I am more than pure awareness and that there is nothing wrong with being more than pure awareness. I encourage everyone to dare to question all allegedly sacred teachings and teachers. Trust your inner wisdom and your ability to reason, and learn to decide for yourself. That said, below are the things I like and dislike about nondual teachings. At the end of the discussion I present my likes and dislikes in tabular form. The principle that we are all one. One of the key tenets of nondual teachings is that we are all one and not separate from each other. I agree, and believe this is a wonderful thing to believe and understand. Even though I believe love makes it so a person would love another person even if that other person was completely separate from himself, it is good when an understanding of Oneness inspires him to view others as a part of himself. The principle that we are the awareness that is aware of our existence. People who aren’t spiritually alert tend to underemphasize the fact that the part of their self that is aware of what they perceive is a major part of who they are. Nondual teachings inspire people to consider the significance of this awareness aspect of their being. The principle that happiness is found inside rather than outside. A lot of people are too focused on trying to obtain happiness, peace, love, meaning, and fulfillment through outward means. So much so that they fail to see how much these very desirable attributes can be found inside within their own being which is connected to and a part of the great Oneness that exists. 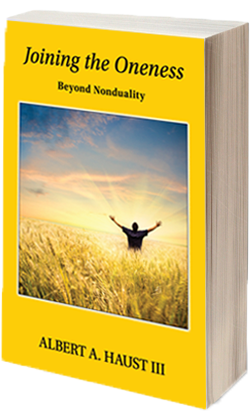 Nondual teachings can inspire people to seek positive attributes such as happiness inwardly, rather than outwardly. The principle that there is no such thing as an individual being. A lot of expounders of nonduality contend that there is no such thing as an individual being, eternal soul, an I, a someone. Rather, they contend that there is only One Self. If one considers this viewpoint very thoroughly one will see that it isn’t a good thing because if it’s true, then eventually there will be only One Self all by its lonesome self for all of eternity. Unless a person believes that he will get to be that One Self, or believes that it is okay that his future includes non-existence rather than immortality, I don’t understand how he could believe that the nondual viewpoint I am speaking of is a good thing. This would be a bad thing to believe even if things worked out so that he ends up being the One Self because he would be alone for allllllllllllllllllllll of eternity! Also, if he lived according to love, he would feel sad about the many beings who no longer get to exist. I’ve found that it isn’t our sense of self that causes us to feel as if we are separate from others. Rather, our self-centered viewpoints cause us to feel this way. Once we let go of such viewpoints we find that we are one and many at the same time. This is a wonderful thing because it means that our future includes an eternal way of being where we share love completely with each other. This isn’t just wishful hypothetical thinking. People including myself have had experiences where we found that we eventually obtain a state of being where we are one and many at the same time. Each of us exists substantially enough so we can share love completely with each other for all of eternity. The principle that we are only awareness. As I said above, it is great that nondual teachings get people to consider the awareness aspect of themselves. Unfortunately, nondual teachings sometimes encourage people to do this to such an extreme extent that they end up underestimating the reality as well as the value of the creative and mind aspects of being. When some people find out about the awareness aspect of themselves they also find out about the love, happiness and peace that can be found within their own being. On some occasions they become so enamored with what they find that they feel as if they have to push the other parts of themselves such as their mind and identity away. This is especially so if they are directed by a guru who claims that they have to transcend their mind and sense of self completely. It is true that eventually we want to find that we are much more than a body-based being, but this doesn’t mean that we have to give up our mind and sense of individuality. Say a person is a rock star for a while. He becomes very identified with being a rock star and tries to find self worth and fulfillment through such an identity. Eventually, however, he finds that the perfection his soul seeks can’t be obtained through such an approach. Therefore, he seeks a spiritual approach and discovers that he is much more than the body-based person that people know as a rock star. He understands that he is a divine spirit being who incarnates into a body for a while and plays the role of rock star. In order to become free of the imperfections that go along with being a rock star he doesn’t have to completely forget what it is like to be a rock star. Even though such an experience has some imperfections, it also includes facets that will help his soul become wiser. Perhaps he’ll find out that one doesn’t obtain true love and self worth by being treated in the way rock stars are treated. He’ll discover that self worth is found when one becomes a being who lives according to positive qualities such as humility and love. Self worth is found in such a way because how could a person not feel good about himself if he lives according to such wonderful qualities? Spiritual transcendence isn’t obtained by denying one’s unique role as a part of the Oneness or by denying one’s mind. It is found by learning to use one’s mind and the creative aspect of being in a wise and loving way. Sometimes an experience of what doesn’t work, such as being a rock star, helps us find what works. With the above in mind, I hope you understand why I don’t like it when nondual teachings emphasize the awareness aspect of being to such an extent that they end up making the mistake of denying other aspects of being that are just as much a part of who we are. Perhaps you’ll also understand why I don’t like it when gurus present themselves as enlightened and infallible and their followers are therefore highly unlikely to question this excessive emphasis on the awareness aspect of being. The principle that the World isn’t real. I’d like to begin by saying that I understand that this World we find ourselves in isn’t the first, final and ultimate reality. Due to experiences I’ve had and what makes sense to me I understand that our true horizons are far beyond this World. However, this doesn’t mean that this World doesn’t exist in a substantial way while we are incarnated in it. I am aware of a number of occasions where a person spoke to his guru about his concerns for the problems that exist within this World, and in response his guru would tell him to not worry about such problems because this World is nothing but an illusion. On some occasions a guru will state that the World we experience while awake isn’t any different than the World we experience while dreaming and therefore, there is no need to be concerned. The fact of the matter is that there is a significant difference between the reality we experience during a dream and what we experience while in this waking state World. If you have a nightmare where you experience people going through horrendous things, the person who sleeps next to you might notice your discomfort and shake you so you’ll wake up and no longer experience your dream state World. You’ll find that, much to your relief, the problems that existed during your dream no longer exist. The same can’t be said with this waking state World. No matter how much a person shakes you the problems of this World aren’t going to go away. Many people are in fact suffering very intensely. This fact doesn’t go away no matter how callous a guru gets when he tells his followers that they don’t have to worry about the problems and suffering that exist in this World. Now some people might say that some gurus tell their followers to go ahead and do things to help make this World a better place, and I suppose some do. However, this doesn’t negate the fact that some gurus do get their followers to become indifferent about the problems of the World we live in. I remember how it was with the guru-based group I used to belong to. Some members, including the guru himself, believed they were superior to people who concerned themselves with the problems that exist in this World. They believed that only an ignorant person who believes that this World is real would be concerned about what takes place within it. I believe it is a big mistake for a person who believes that the World isn’t real to disregard suffering because no matter how obsessively he holds on to such a belief, many people within this World are in fact suffering. Indifference often leads to non-action. For the sake of discussion, please let me assume that you are a person who doesn’t approve of what took place in Iraq for the past decade. A part of the reason the war in Iraq took place is because George W. Bush became the President of the United States. If U.S.citizens would’ve voted differently (possible Florida shenanigans aside), perhaps Bush would not have been elected and resultantly the Iraq war and all of the negative consequences would not had taken place. Quite often people don’t vote because they are indifferent. As far as I could tell the people who belonged to the nondual guru-based group I belonged to didn’t vote. Why would they if they believed that the World is only an illusion they didn’t need to be concerned about? When people believe in such a way they conclude that any suffering that took place (and continues to take place) within Iraq is only an illusion. If you spoke to a little Iraqi girl who was burned very badly by an explosion, she would of course tell you a different story. Her pain and the resulting scars would be very real despite what some supposed enlightened person who compares life in this World to life in a dream has to say about the matter. I swear, indifference that is based on nondual teachings can be quite an ugly thing. The principle that we don’t have free will. Some nondual gurus say that we don’t have free will. When they say such a thing they erroneously believe that they are being sophisticated thinkers. I’ve found that we always have a place within ourselves that enables us to have free will. It is just that sometimes we get so caught up in our psychological conditioning that we don’t use our free will in a wise and loving way. The more we learn about the value of using our free will in a wise and loving way rather than acting according to reactive psychological conditioning, the more we’ll choose a wise and loving way. If a person takes on the belief that he doesn’t have free will, it becomes a self-defeating prophecy. He will manifest according to what he believes. If he follows a guru he believes is enlightened and therefore infallible, and this guru tells him that he doesn’t have free will, he might have a hard time finding out that he does have free will. This leads to the next thing I don’t like about nondual teachings. For the most part they are based on what supposedly enlightened and infallible gurus have to say. When you try to determine the validity of a particular thought system it is often helpful to consider its history. If a thought system was started by people who put themselves on a pedestal as infallible authority figures, tell others that they hold the key to their spiritual welfare, have others surrender their lives to them, and allow others to treat them in a worshipful way, then perhaps the validity of that thought system should be questioned. Even if gurus didn’t do things such as set things up so their followers treat them in a worshipful way, I am still opposed to how they present themselves because they do so as if they are enlightened beings and beyond being wrong about spiritual matters. As a result, and as discussed above, when a person decides to believe what such a guru says he ends up having a hard time thinking outside of the belief system provided by the guru, because the belief system includes the concept that the guru can’t be wrong. My feeling is that any person who truly respected and loved others wouldn’t do something that causes the people he teaches to believe that what he says can’t be questioned. A responsible person would never do something that gets other people caught up in a psychological trap. A person who isn’t under the spell of the guru game would see that this is in fact what is taking place. There are many people who are trapped within a guru-based thought system. They are having a hard time seeing their way out of such a thought system partly because it includes the insidious and mind controlling ingredient that a guru can’t be wrong when it comes to spiritual matters. Some followers take this problem to a further extreme and believe that their guru can’t be wrong about anything. The importance of Oneness. The mistake of believing that you have to deny the existence of a multiplicity of souls in order for Oneness to exist. Awareness is a part of who we are. The awareness aspect of Self is sometimes emphasized to an extent that the importance and reality of the mind and creative aspects of being are denied. The World is just an illusion so you don’t have to worry about the suffering that takes place within it. We don’t have free will. The long history of Guru as infallible authority figure.